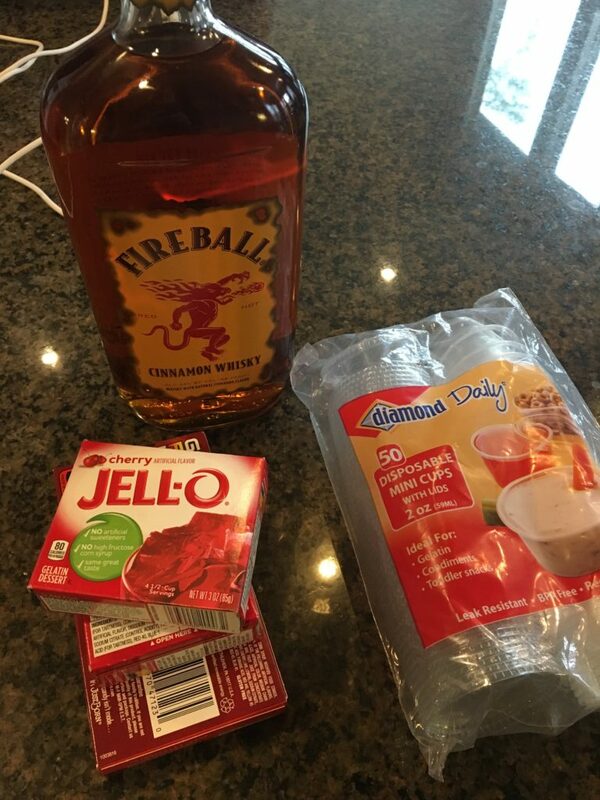 Fireball and Jello Shots are party favorites, so combining the two only seems like a win win, right?!?! Next gathering, make these and you’ll be the crowd favorite! Last weekend, my hubby and I had a bunch of our neighbors over for a brisket dinner party. Neighbors, lots of food, and great socialization made for one fun evening! My hubby has a Pitboss smoker and anytime he gets the chance to fire it up, he is one happy guy. Since we had noticed the brisket on sale a few weeks back at our local grocery store, we decided to buy a few for our freezer. When my hubby makes his brisket, it turns into an all night event and requires him to get up several times to adjust the temperature, add more pellets, make sure all is going as planned, etc. After a 12 hour smoke, it was ready to go! I made a double batch of my BBQ Baked Beans as well as BEST EVER Mac and Cheese. 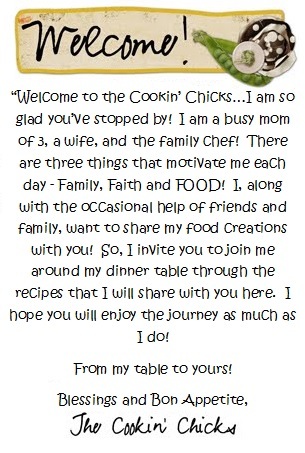 Each of those recipes are always huge hits with everyone, so I knew it was a no brainer! My neighbors each brought amazing appetizers and desserts to accompany the dinner, so needless to say, we all had happy, full bellies! 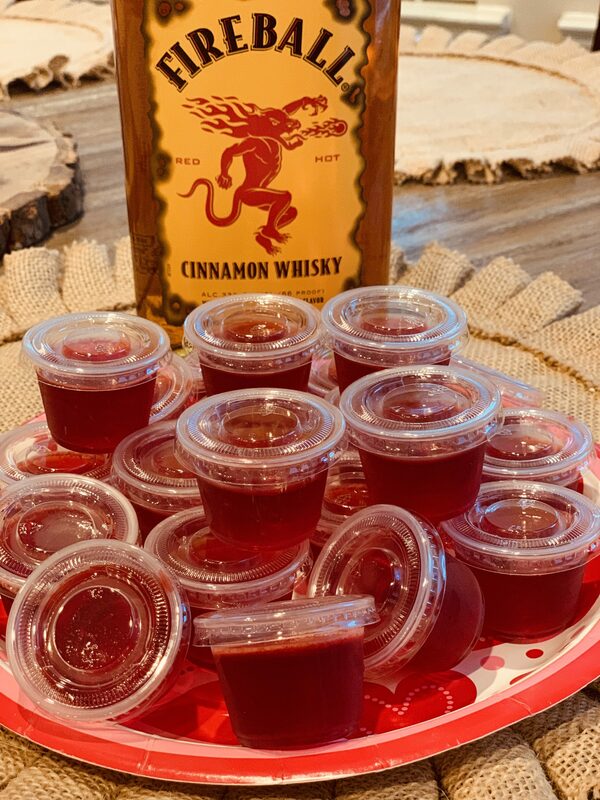 One thing I added for the adults to enjoy were these Fireball Jello Shots! My sister in law and brother had bought my hubby and I the ingredients for a fun Christmas exchange we had, so I knew this was the perfect time to use some up! I made these in no time the morning of the party and a few hours later, they were set up and ready to go! After we enjoyed dinner/dessert, these made their way out of the refrigerator and everyone agreed, they tasted amazing! The alcohol was barely noticeable (so be careful when enjoying them) and they were the perfect way to end the evening! I poured mine into little condiment cups I had found at my grocery store only because they came with lids, but you can usually find small disposable shot glasses that work great too! To change this up a bit, you can also try orange Jello instead of the cherry listed below! Hope you enjoy these tasty shots, but please, drink responsibly! 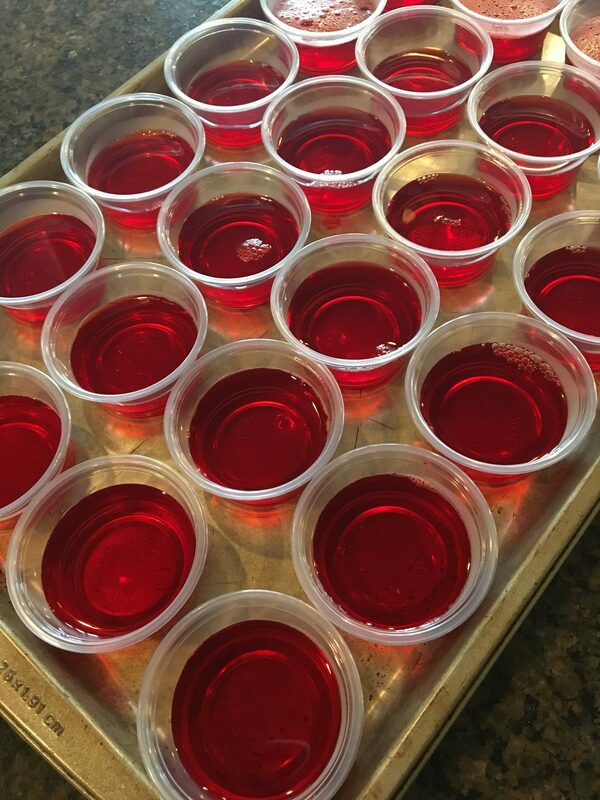 In a bowl, combine the Jello and boiling water. Add in the cold water and Fireball, stirring to incorporate. Pour the mix into 2 oz. plastic shot glasses until about 2/3 full. Chill for 2 hours in the refrigerator. Serve and enjoy! 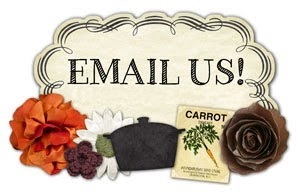 Be sure to sign up for my newsletter by entering your email address below! You’ll receive my latest recipes sent directly to your inbox, as well as other “newsletter only” content/giveaways! This makes roughly 24 shots!! That would work great as well! I have only tried cherry and orange, but strawberry should be just as yummy! That’s a great idea!! I think that would make these even better! Ill have to try that next time!! WAIT UNTIL IT IS COOL BEFORE ADDING THE FIREBALL. Never knew that, thanks for that tip!! 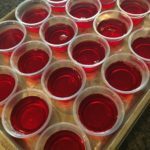 I’ve made them with green apple jolly rancher jello. Delicious, it’s a party favorite. Now I get requests to make them all the time. Oooo yum, I will have to try that version too!! I used peach jello and it was super delish! Ooooo, I will have to try that too! Thanks! The small package, I believe its 3 oz.